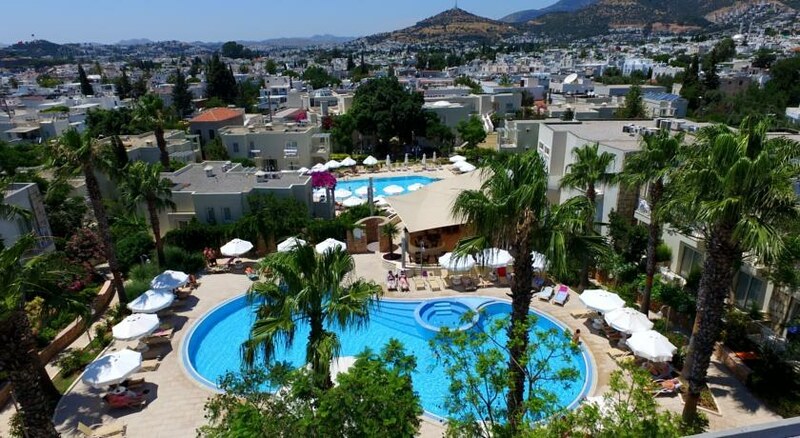 The Mandarin Resort Hotel Bodrum is a 5-star property that is close by to a wide variety of shops, bars and restaurants and is just 0.2 miles away from the nearest beach. 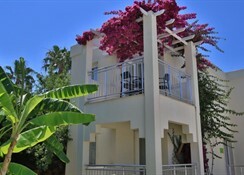 The hotel is a family friendly property and features a kid’s club and is also nearby to many tourist attractions such as Bodrum Castle, Mausoleum of Halikarnassus and the Greek Amphitheatre. There is a restaurant at the property as well as a poolside snack bar. The hotel offers accommodation for between two and four people and the Mandarin Resort Hotel Bodrum is suited to couples, families with children and groups who want a luxurious stay in one of Turkey’s most popular resorts. The Mandarin Resort Hotel Bodrum is just 0.2 miles away from the nearest beach. It is also nearby to a range of historical sights which includes Bodrum Castle (0.6 miles), Mausoleum of Halikarnassus (0.9 miles) and the Greek Amphitheatre (1.1 miles). The Milas-Bodrum Airport is 19.4 miles away from the property and the hotel can arrange an airport transfer. You can choose between several room types at the hotel. Standard Double Rooms or Twin Rooms have capacity for two guests while Deluxe Double Rooms have room for two adults and one child. Triple Rooms can sleep three people and there are Family Rooms that can accommodate four people. All the rooms at the hotel have air conditioning, private balcony and satellite TV. There is an on-site restaurant that serves a buffet breakfast as well as lunch and dinner with a range of local and international food. 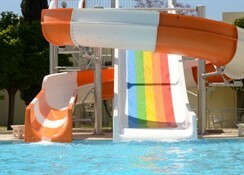 Guests can also grab a bite to eat and drink at the poolside snack bar and there is an all-inclusive option at the hotel. The Mandarin Resort Hotel Bodrum has an outdoor swimming pool with sun loungers, children’s section and indoor swimming pool. There is a spa where you can get massages and other treatments as well as a sauna and Hammam. The hotel has facilities for beach volleyball, table tennis and billiards as well as a Kid’s Club, children’s playground and a games room. The beach is just a short walk away from the property and the nearest golf course – Regnum Golf and Country Club – is 10 miles away. Rooms clean and tidy. The food not much choice, every day some things.